QCL guests enjoyed some fine weather on the water this week with a total stunner on Wednesday… flat water, bright sunshine and loads of crazy looking clouds on the horizon! And the fishing wasn’t too bad either! Those flat water days see everybody heading offshore to their favorite halibut haunts. The result were telling! Lots of awesome “overs” in the 84–133 cm class (16 to 70 lb) came to the dock as our guides continue to hone their bottom-fishing skills! Of course there were a bunch of fish that were turned back, giant females too big for retention! Max Z released a 104 pounder, Jeremiah F a 94 and a 250 lb. barn door! Rick W tangled with a big fish that taped out to 121 and John F released a 150 pounder. It’s always exciting to hear the stories and watch the “phone videos” of these events! There’s no shortage of adventure on the halibut grounds! On the salmon front we saw our first 50 Pounder of the 2016 season! Fishing with his roomy Ian and veteran guide Jackson Jane, Phillip B successfully brought a stunning fish to the boat at Cape Naden on Friday. 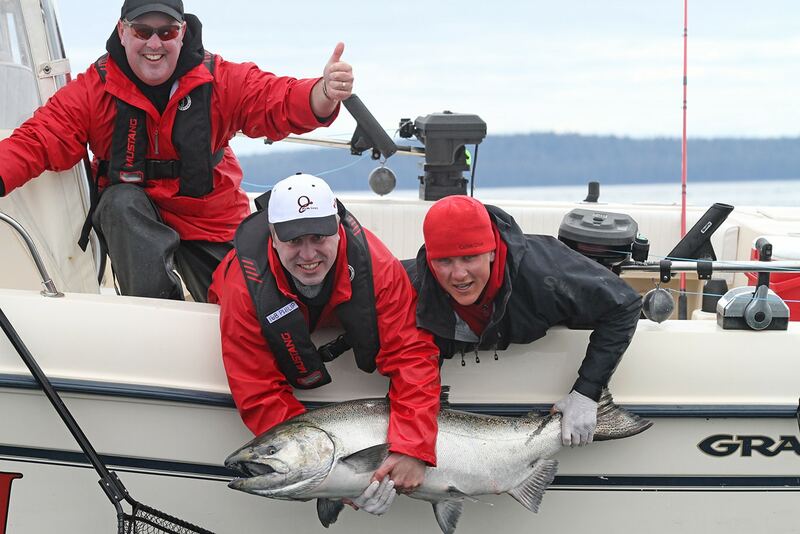 After carefully taping it out to 54 pounds the big Chinook swam away directly after some revival from Jackson. What a beauty Phillip! Thanks for letting that big one go! And welcome to becoming the first member of the 50-Pounder Club for 2016! 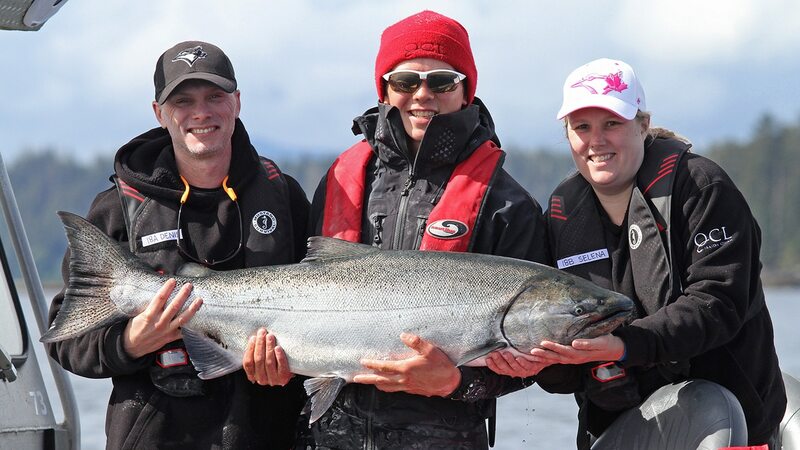 Just 2 days earlier another splendid release was celebrated by Selena G and Denis B when their guide Isaiah Dahl carefully let a big chrome beauty back to swim away; this one measured at 42 pounds! Fantastic fish folks! And again, we really enjoy seeing these 40-plus pounders getting a chance to return to the spawning streams! Thanks again! Look forward to more great fish stories in the days to come!